For a small town, Bryson City has quite a variety of restaurant choices — from southern home cooking, hickory-smoked barbecue, piled-high deli sandwiches, and juicy hamburgers — to gourmet meals, farm-to-table offerings, ethnic foods like Italian or Mexican. There are Nantahala Gorge restaurants where you can watch whitewater rafting riverside, or have a quick lunch before spending an afternoon on the water. You’ll find Bryson City restaurants that serve family style, buffet-style, or in an intimate and romantic setting. You can dine indoors by candlelight or at a sidewalk cafe, or just pop into one of our fast food restaurants. We’ve even got an old-fashioned family run drive-in. Look for the for pet friendly outside seating. Click on thumbnails in listings to enlarge. Printable Smoky Mountains Dining Guide (pdf). Old school drive-in located beside the Tuckasegee River in Bryson City. Breakfast, lunch, and dinner menus offering inside service as well as curb service, under cover. Open all year. Conveniently located across from the Great Smoky Mountains Railroad Depot in Bryson City, Boxcar Cafè & Cones offers a varied menu including burgers, wraps, wings, hummus and more. In the mood for something sweet? We offer 16 flavors of hand dipped ice cream available in cones, cups or shakes. Pet friendly outside seating. 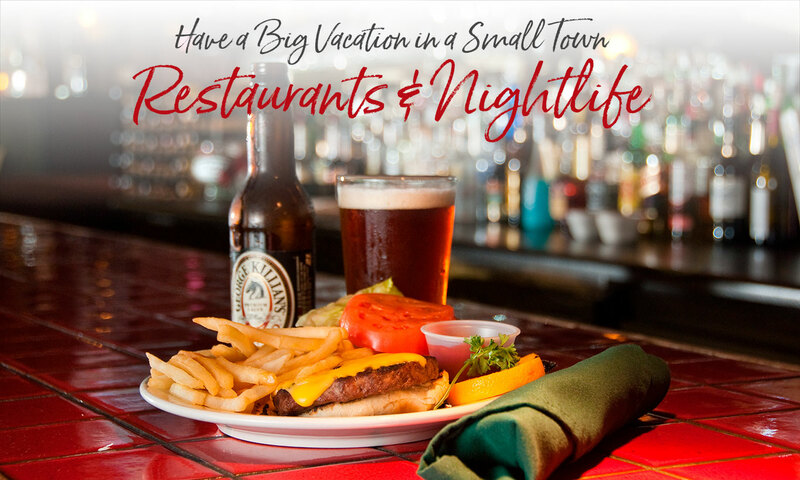 Contact Name: Jimmy McNorrill Jr.
Offering both lunch and dinner in a casual and inviting atmosphere on Main Street, Jimmy Mac's features a full menu including soups, salads, appetizers, burgers, steaks, seafood and more. Authentic hand-tossed pizza, burgers, homemade dinners, appetizers, subs, paninis, salads & desserts. Large selection of craft, imported and domestic beers; full bar and wine. Inside and covered outdoor dining; with relaxed lounge seating areas in Derailed Bar. Free wifi. Across from train depot. Pet friendly outside seating. Located in downtown Bryson City, directly across from the Great Smoky Mountain Railroad offering a delicious array of handmade chocolates, award winning fudge, fresh brewed coffee and expresso drinks, along with an assortment of other sweet treats and beverages. Pet friendly outside seating. Located in the center of downtown Bryson City, the brewery has indoor seating as well as outdoor seating on a covered rooftop terrace with a beautiful view of the Tuckasegee River and the mountains surrounding the town. The brewery currently has a number of beers on tap, a hard cider on tap, and a variety of wines, sodas, tea, and coffee. Several local restaurants offer food delivery to your table. Pet friendly outside seating in patio area. Nantahala Brewing artfully brews award-winning, unfiltered ales made with fresh hops, whole grains and clean, crisp Great Smoky Mountain water, from one of the purest, protected watersheds on the planet. Located just across from the Great Smoky Mountains Railroad in downtown Bryson City. Pet friendly outside seating. Soda Pop's, established in 2000 as a family business, Bryson City's only '40's and '50's old fashioned Soda Fountain located in the heart of downtown. Specializing in Coca-Cola memorabilia. Our setting will take you and your kids back in time! Pet friendly outside seating. Subs & salads. TCBY treats, ice cream, frozen yogurt. Open all year seven days a week. Listed on the National Register of Historic Places, the Fryemont Inn has been a tradition in mountain hospitality since 1923. Enjoy fine dining and your favorite wines and cocktails. Full country breakfast from 8-10am; and a delicious four-course dinner from 6-8pm Sunday-Thursday and 6-9pm Friday-Saturday. Prime rib, lamb shanks and pecan crusted trout are just a few of the tasty offerings. Open mid-April through Thanksgiving. Reservations, please. Take a virtual tour. We are a family owned winery that handcrafts wine in small batches to ensure the aroma and flavor for the best wine. Wine is available for purchase by the glass or bottle. Tours and tastings available on request. Located off Galbraiths Creek. We are open Wednesday thru Saturday 3-7pm. Pet friendly outside seating. A traditional style breakfast and lunch featuring daily specials as well as a variety of sandwiches, homemade soups, salads, and desserts. Hours of operation: Monday - Saturday, 7:00 am - 2:00 pm; Sunday, 7:30 am - 2:00 pm. Escape for a moment from the busy pace of life on our beautiful patio or carefully designed dining room, as you savor our delicious steaks and other grilled entrees. Whether it’s a casual business meeting, a first date, a romantic evening, or a family celebration, at Boots Steakhouse we’ll welcome you with a big smile, a great meal, and impeccable service. While away an afternoon or evening at the Great Smoky Mountains Winery; Bryson City's newest full service restaurant. Enjoy the ambiance of the fully restored 1911 building, complete with original walls and floors and local reclaimed brick and barn wood accents. Savor a glass or bottle from our extensive wine list, and pair it with fresh salads, tapas, brick oven pizza, or dessert. Pet friendly outside seating. All aboard! Join us for one of our evening specialty dinner trains, The Fontana Trestle ft. BBQ & Brews OR The Railroad Reserve Wine Train. Both trains follow a scenic evening route and feature a delicious menu paired with the wine/beer, and knowledgeable representatives from the brewery or vineyard showcased. Whether you are a craft beer connoisseur or have a taste for vibrant wines we’ve got you covered with these unique railroading dining experiences. When you visit the Nantahala Gorge, be sure to bring your appetite! NOC offers two riverside dining locations, River’s End and Big Wesser – with menus boasting a little bit of something for everyone! Whether you’re craving a juicy cheeseburger, Mexican cuisine, or a signature Sherpa Rice dish, you can enjoy your meal where every seat is a river seat! Menus and hours change seasonally, visit website for current information. Free Wi-Fi. Pet friendly outside seating at Big Wesser. 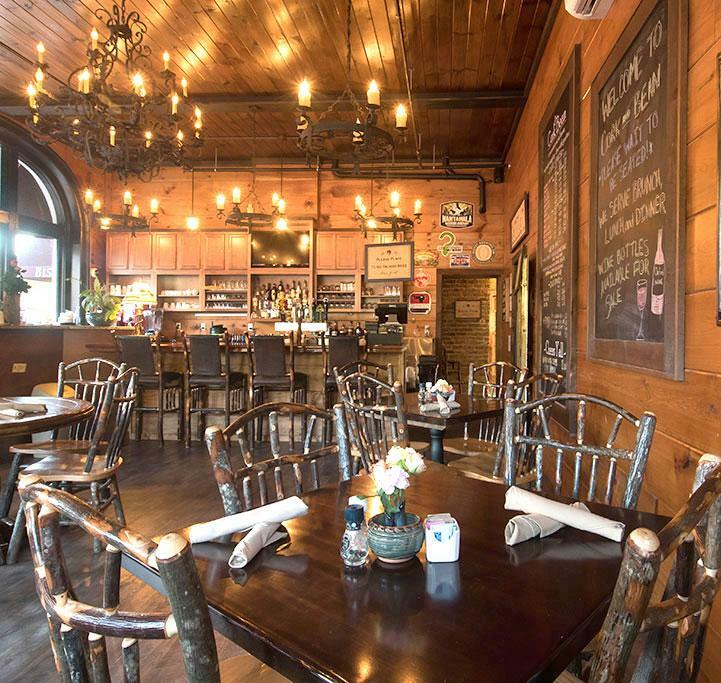 Located just down the street from the Nantahala Brewing Company, The Warehouse at Nantahala Brewing offers fresh, local, farm to table dining in a casual, rustic setting. Dine outdoors or in and enjoy the signature Nantahala Brewing Company beers or a cocktail from the bar. Custom roasted coffee and espresso drinks, smoothies, freezes and master blended teas. Great selection of gourmet wraps, salads, quiche, vegetarian and gluten free dishes and soup. Also handmade bagels and tasty cream cheeses, muffins, baked goods and bagel or croissant sandwiches. Free Wi-Fi. Eat in, on the porch, or carry out. Delivery service available. Pet friendly outside seating. Locally owned and operated pizzeria and grill. We offer only the highest quality ingredients and serve hand crafted beers in a unique setting. We take pride in providing our customers with a memorable experience that keeps them coming back time and time again. Pet friendly outside seating. Family friendly restaurant with full bar, pet friendly outdoor covered deck, and pool tables and games conveniently located just across from the Great Smoky Mountains Railroad in the heart of downtown Bryson City. Daily food and drink specials, weekend live entertainment, and NFL Ticket for those fall football weekends. Pet friendly outside seating. 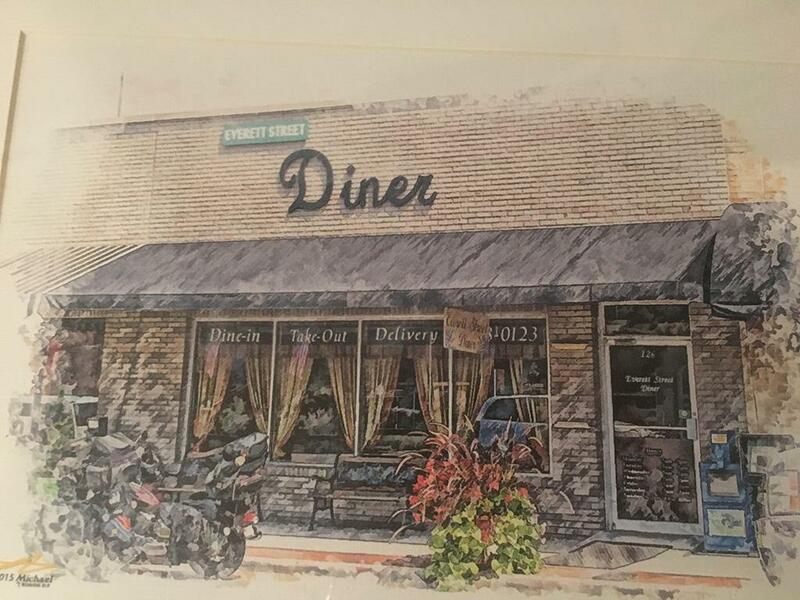 The town of Bryson City permits the sale of alcoholic beverages within the city limits; and a number of Bryson City restaurants offer beer, wine and mixed drinks. Outside of the city limits, only certain qualifying resort properties are permitted to serve alcohol by the drink as well as beer and wine. 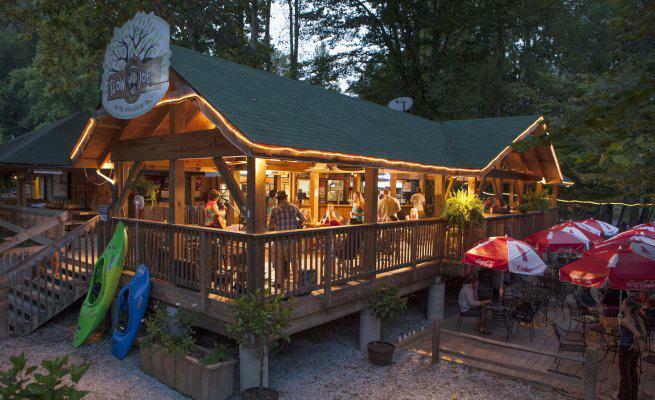 Restaurants at the Nantahala Outdoor Center are permitted to serve only beer and wine. In Cherokee, beer, wine and mixed drinks are served only in the Harrah’s Casino & Hotel restaurants and on the Casino floor. The remainder of the Cherokee Indian Reservation is dry. Because of differing policies, restaurant patrons are advised to check with the restaurant ahead of time. In Bryson City, liquors are sold at the ABC Store at 254 Veterans Boulevard (next to Arby’s) (9 to 9, Monday through Saturday). 828-488-6682. Beer, wine and mixers are sold only at grocery stores, convenience stores and package stores within the city limits. Hours vary from store to store, but are allowed to be from 6 am to midnight, except on Sunday, when sales are permitted from 10 am – 2 am. The Wesser General Store in the Nantahala Gorge sells beer and wine (open seasonally).